Suffering paranoia and depression, Kanye fights a battle for his mind. Pray for Ye. 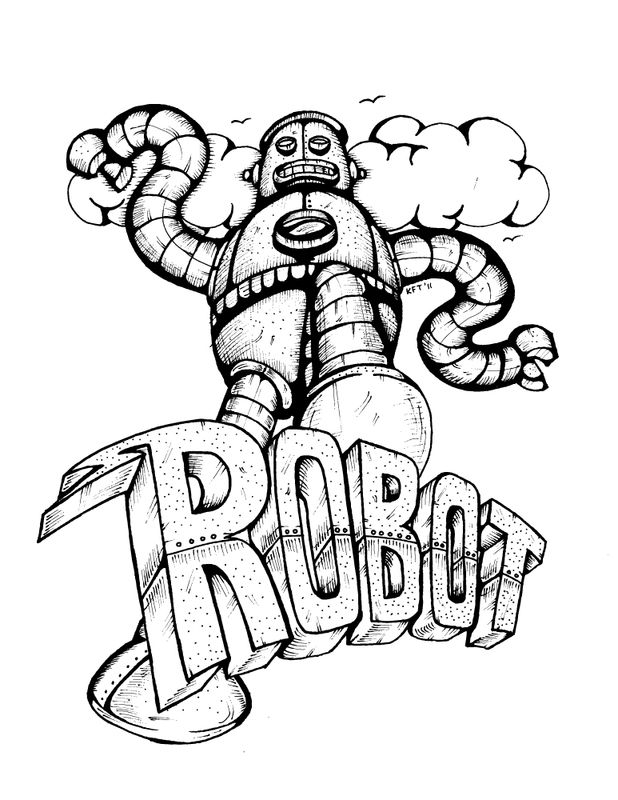 In my previous post I posted a pen and ink image of a Giant Robot with hand lettered text. I Live Traced the ink drawing in Illustrator CS5 (under the detailed illustration tracing setting), and colored the image digitally. Next I intend on creating a custom T-shirt featuring this image. If you see me around town in a month or two I may be wearing it! Giant Robot, The Raw Drawing. I want to start posting some of these pieces in their early stages and then post the finish to show the process. 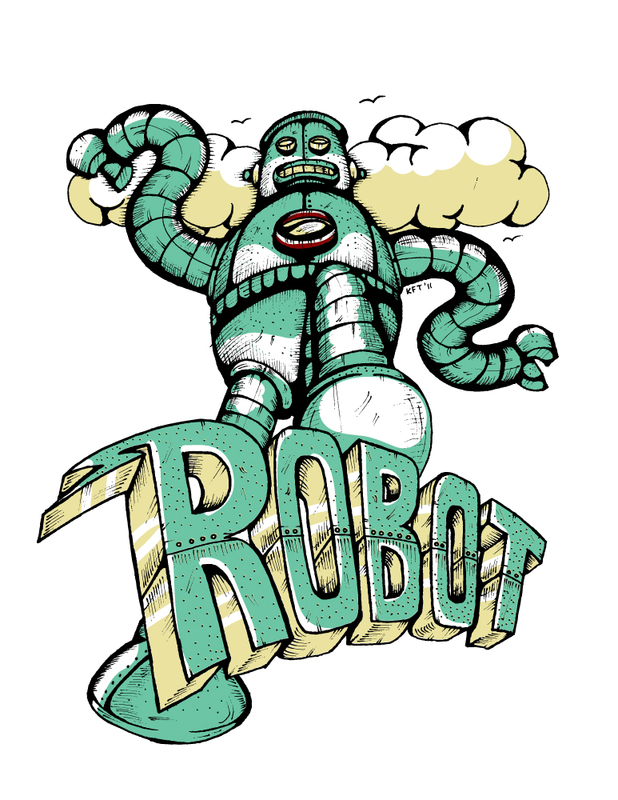 The first in the set is the Giant Robot. When I’m finished I want to use it as a t-shirt graphic (if I like it).